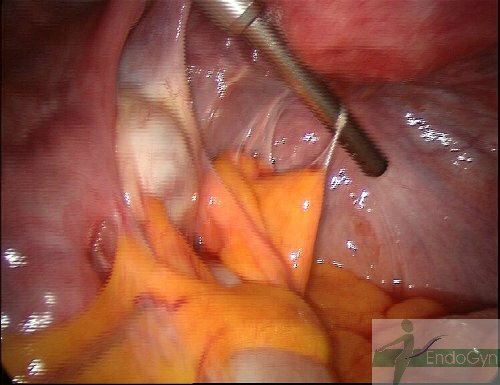 Most of our adhesions patients are presented with bowel adhesions after open surgeries. 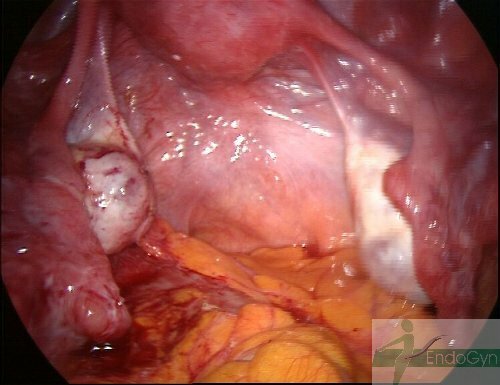 Here you can see a case with gynecological adhesions, that cause pain and infertility. Left pelvic area is completely covered with bowel. 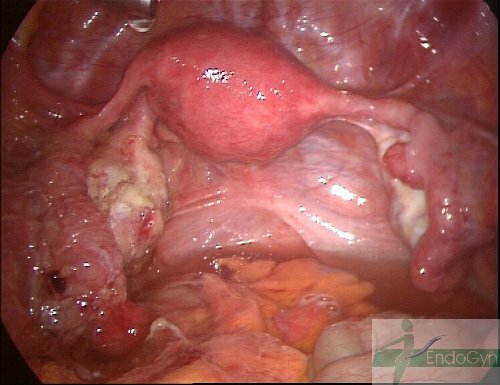 left ovary and the left tube with the fimbria, bowel in the correct anatomical situation. 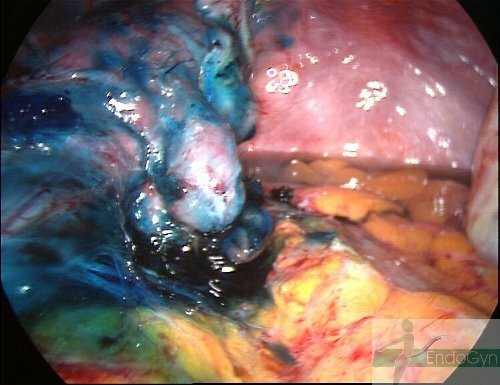 and in the second-look laparoscopy: no reformation or de-novo adhesions occure.